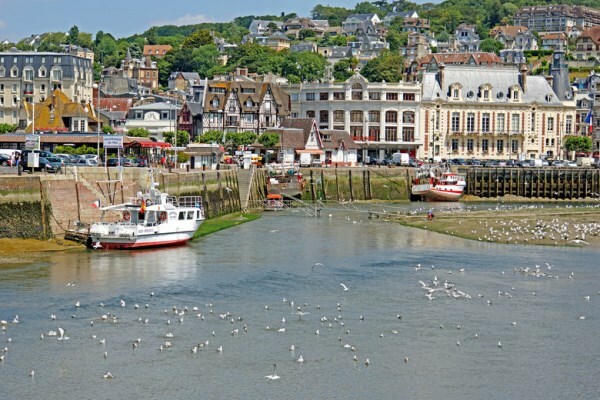 Deauville is a fishing village, which have now become seaside resorts for the smart set. 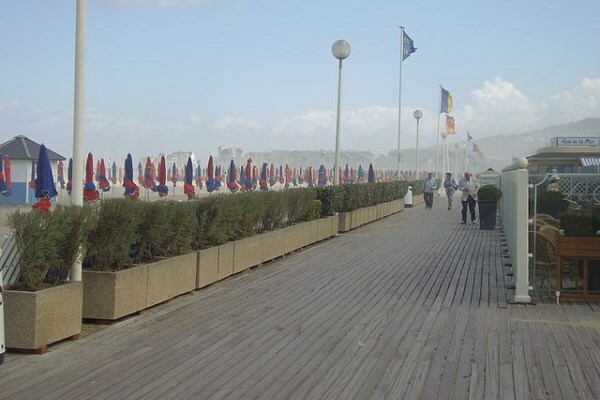 Deauville is famous for its Promenade des Planches along the beach, and is decorated by the names of famous American film directors and actors. Every year, Deauville holds a festival of American cinema. On that occasion, the city receives many celebrities such as Robert De Niro, Clint Eastwood, Al Pacino or even Liz Taylor, Kirk Douglas, Gregory Peck, Burt Lancaster etc. 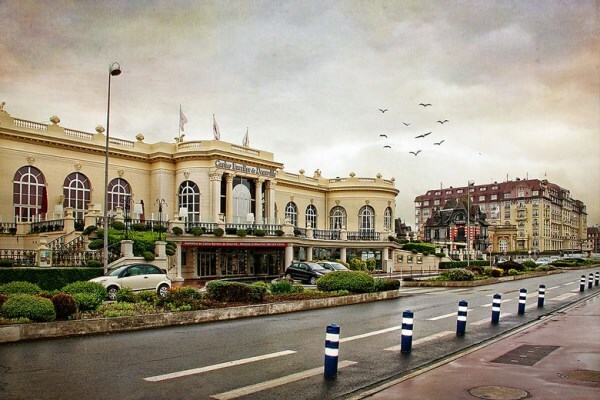 Deauville is a famous seaside resort, mostly attended by Parisians: thus, it is sometimes called the "21st arrondissement". 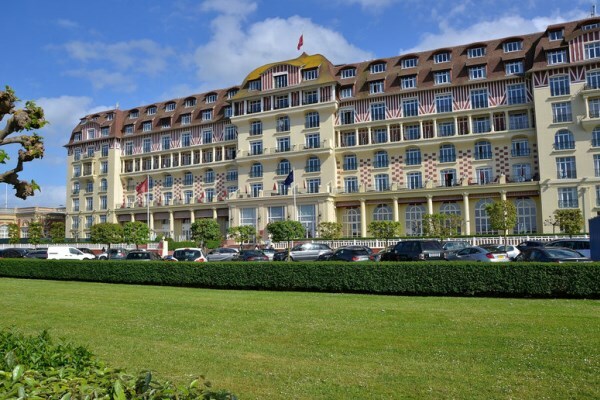 Deauville has many tourist attractions: luxury shops, beaches, casinos, hippodromes, bays, etc. Deauville's most renowned cultural event is the Festival du Cinéma Américain ("American Cinema Festival"), which takes place in September and gathers numerous celebrities coming from both sides of the Atlantic Ocean. 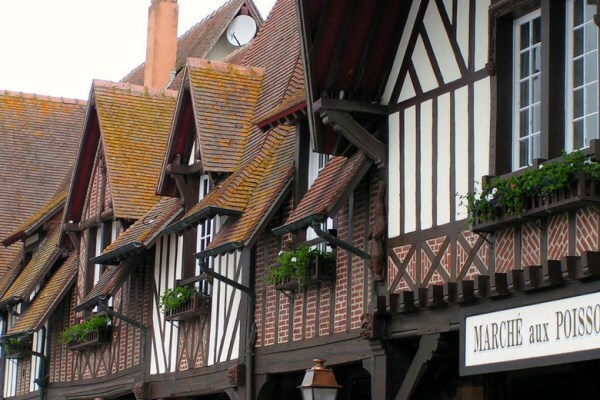 Deauville is on the seaside, and it benefits from a mild weather. There is low precipitation, and the temperatures rarely go extreme. Average temperatures are 6.5°C in January and 16.5°C in July. 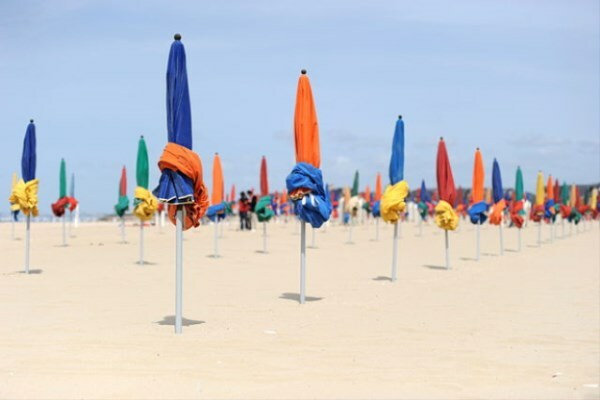 If you can avoid the peak of the touristic season, you'll enjoy Deauville's beaches and tourist attractions as much as possible. Low budget: 35€ per night in low season, and 74€ in high season. Mid-range: 75€ per night in low season, and 134€ in high season. Luxury: 216€ per night in low season, and 320€ in high season. The avenue de la République is a few hundred meters away from the beaches; moreover, it is full of shops. The casino neighbourhood is very nice and very popular.